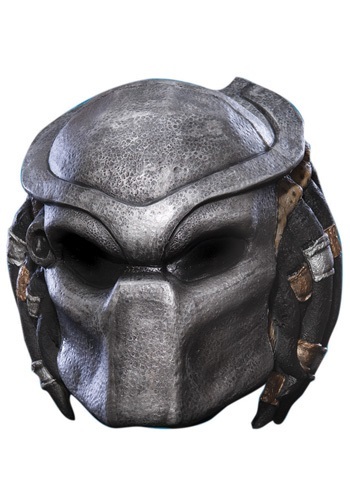 Be careful not to carry around any weapons when your child puts on this Predator mask. The molded mask is so realistic, he might feel like the real thing, and in that case you wouldn't want him to feel threatened. If he was to feel threatened, it could trigger his fight-or-flight instinct, which means bad news for you if he decides to go on the hunt. You would need so many sandbags outside your door. And a lot of traps. And a team of scientific researchers to discover weaknesses to exploit. And, you know, we just don't feel comfortable tearing apart a family like that. Raising a colony of aliens to sate his need for hunting would be, of course, the alternative. Don't get us started on that, though. We just sell masks.